I have never heard someone do so much talking despite having nothing to say. 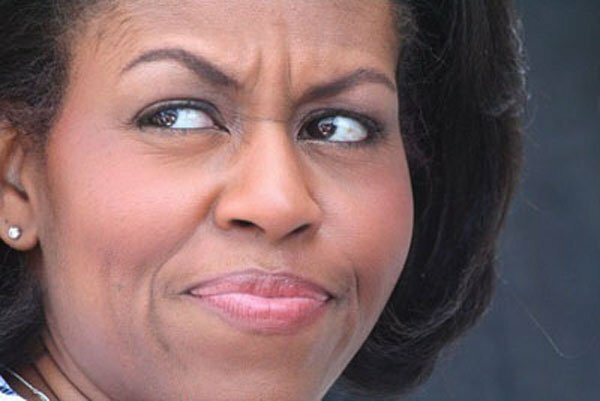 Michelle Obama has been extremely vocal in her dismissal of President Trump (and white men in general, it seems) and it’s enough to make you wonder why. Does she want to maintain a public profile for the sake of perhaps launching a Presidential run in the future? Perhaps she simply refuses to continue hiding her contempt for men and it’s grabbing the attention of those in the media? Obama was supposed to be giving a speech about effective communication and was invited to speak by the Economic Club of Toronto, but it appeared that she just went off on whatever side-street she could find. She of course discussed Trump’s Twitter habits, how “awestruck” she was when meeting Queen Elizabeth and how she would like to have lunch with Jesus and serve him pizza. The speech lasted 45 minutes, which is about 44 minutes longer than I would have been able to stomach, but let’s discuss the implications of the speech and others like it. While on its face it appears to be light-hearted joking, it is generally frowned upon to speak ill of your country’s leader while in a foreign country. And honestly, Trump’s 3 AM tweets are significantly less harmful than, I don’t know, running guns to Mexico, forcing the country into an incompetent medical system, doing nothing while four of our men died in Benghazi, fostering racial division, etc. While I don’t agree with them and honestly believe that he would be better off if he just put the phone down every now and then, I also don’t think that Democrats have much room to talk considering the caliber of candidates they put up in 2016. I haven’t seen that many old, white people since I worked in a nursing home. The point is, what Michelle Obama did was uncool and in the future she should resist the urge to belittle the President while in a foreign country, because regardless of how you feel about Trump and his tweets, America is still the best country on the planet.